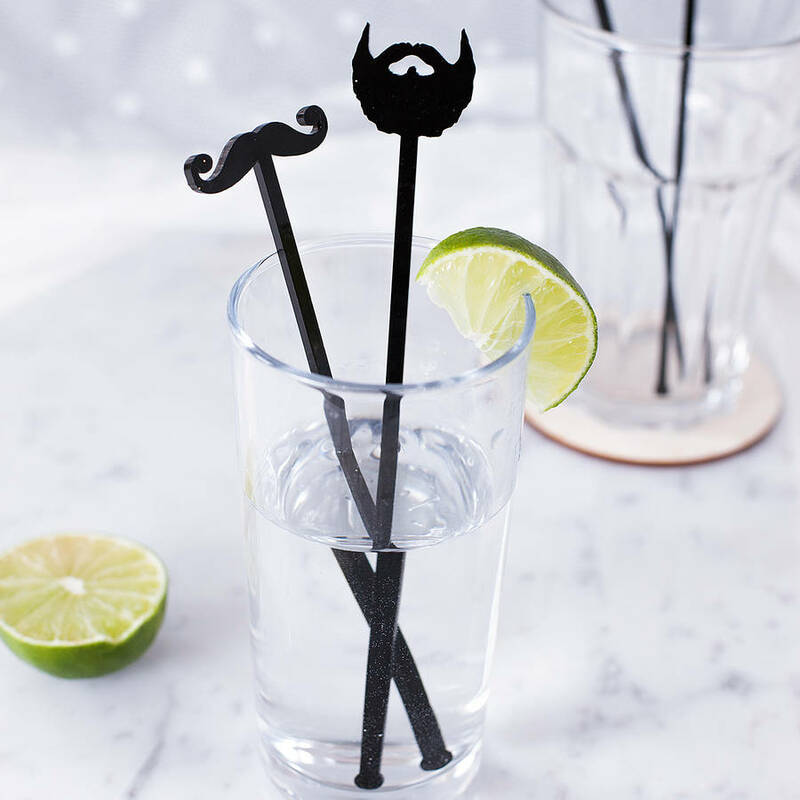 A set of dapper beard or moustache shaped drink stirrers, perfect for those who love to mix things up at a party or wedding! These stylish swizzlers are an ideal accessory for your party or wedding festivities, adding a unique touch to the dinner table, bar or cocktail evening. Stay 'on trend' this season, with every set containing five uniquely crafted stirrers, with an intricately cut beard or moustache shape embellishing the handle. Satisfy your need for a 'hair of the dog' and mix yourself the prefect treat! Each stirrer is made in genuine, solid black acrylic; perfect for the most sophisticated of cocktail parties. Each pack contains 5 stirrers, created in your choice of either the beard or moustache design. Choose your preference of design from the drop down menu! Made from genuine food safe acrylic and can be rinsed in warm water to clean. Not suitable for a dishwater. Each stirrer stem measures approximately 150mm in length. The handles vary according to design, but measure around 25mm x 25mm.